DirecTV would have us believe that every guy in the neighborhood has a memoribilia dungeon. But really, anyone looking to score the man cave of their daydreams needs to stop polishing that signed ball this instant. Cluttering your basement with endless dusty frames and unopened Mike Schmidt bobbleheads is no way to live. You’re not in the fourth grade, and you don’t own an Irish American pub. Opt instead for one elegantly crafted statement piece that capably expresses your fandom and provides legitimate function. 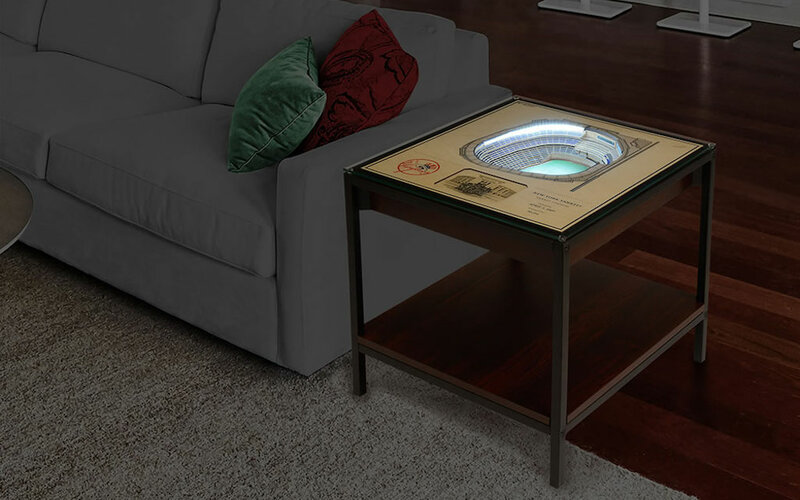 Lucky for you, we know just the thing: The Stadium Replica End Table. 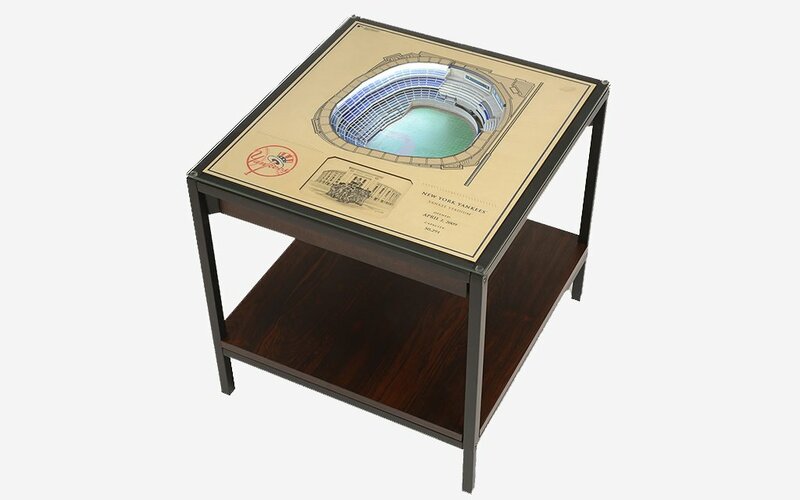 Offered for the Cardinals, Cubs, Dodgers, Indians, Red Sox and Yankees (sorry Rays fans, the Trop was never making this list), this end table is a laminated espresso wood frame holding a 3D-inset ballpark, all backlit with LED illumination. 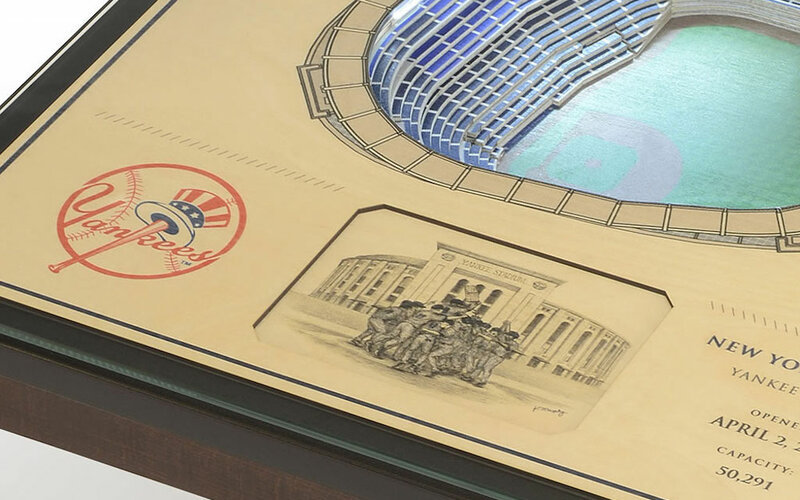 There’s a tempered glass top so you won’t be spilling any beer all over right field, and for all familiar with their flagpole-to-flagpole dimensions, expect an exact replica of your beloved stadium. Below the model, find original artwork and notes on the site’s opening and capacity. Find your end table here and park it next to your couch. It’ll stay by your side until the next parade rolls through town, however long that might take.